You are here: Home / Uncategorized / Schedule Your Spring Asphalt Seal Coating Now! Schedule Your Spring Asphalt Seal Coating Now! Winter is tough on your asphalt – especially with the continual freeze thaw process we had this winter. It seemed to go from freezing to spring like weather and rain and then back to freezing every other day. This wears on your asphalt, deteriorating it and allowing for moisture to get deep in cracks and then expand upon freezing. Brand new asphalt may not be necessary. If the damage to your asphalt is not to severe, some crack filling and a fresh asphalt seal coat may just do the trick to get your asphalt looking and functioning like new again! Armored Sealcoating is based out of Kenosha, WI. 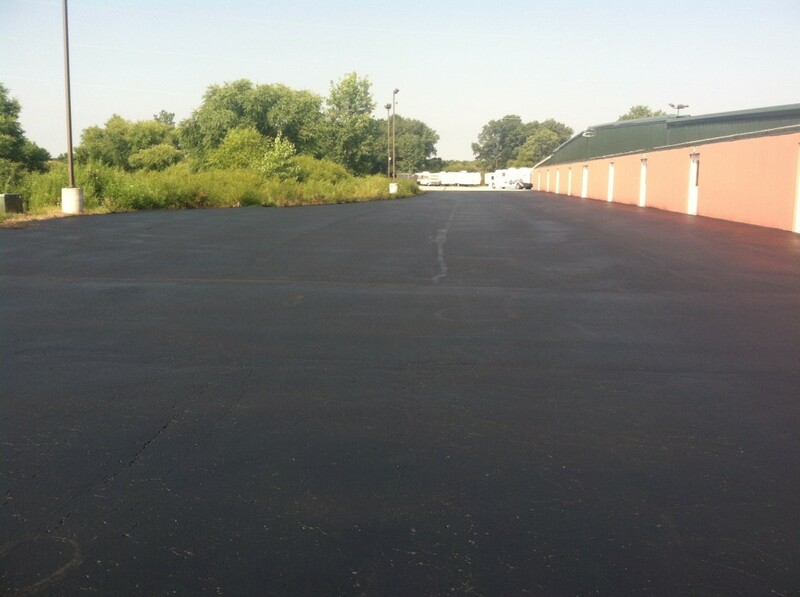 We specialize in crack-filling and asphalt sealcoating and striping. Our spring season fills up fast with everyone wanting to repair and coat their asphalt fresh for spring, summer and fall. We want to get you on the schedule and help you out with affordable seal coating and maintenance services! Whether you need your residential driveway seal coated or you have a commercial asphalt lot in need of heavy duty maintenance and fresh striping – we cover it all (literally). Armored Sealcoating always applies 2 coats with EVERY JOB we do to help your new seal coat last longer. Typically sealcoating is recommended every 2-4 years – with our practices extending that to 3-5 years. This saves you time and money! The only explanations for a company to do this are we actually CARE and have passion for what we do. Contact Armored Sealcoating for your free seal coat estimate today!